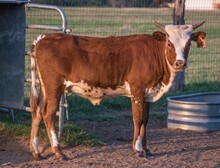 Beautiful Cowboy Casanova granddaughter out of our gentle LLL Maxamillion daughter. 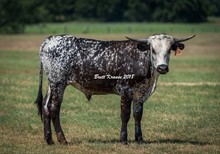 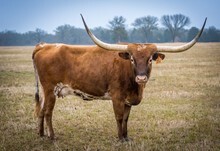 Blood tested pregnant to JTW Big Country for a 2019 Fall calf. 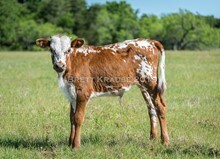 Flashy JP Rio Grande granddaughter out of our beautiful Tempter daughter. 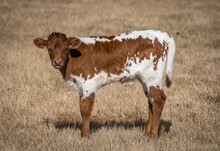 Consigned to the 2019 Blue Ridge Ranch Sale She has a Kettle's Tattoo heifer calf at side. 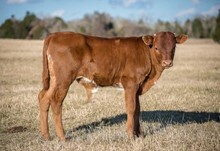 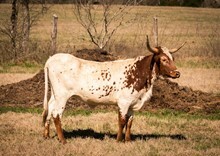 Beautiful red bridle herd sire. 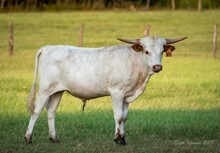 Full interest available.